The communication agency Advice uses Splitter to make a clear call to action in CNN campaigns. 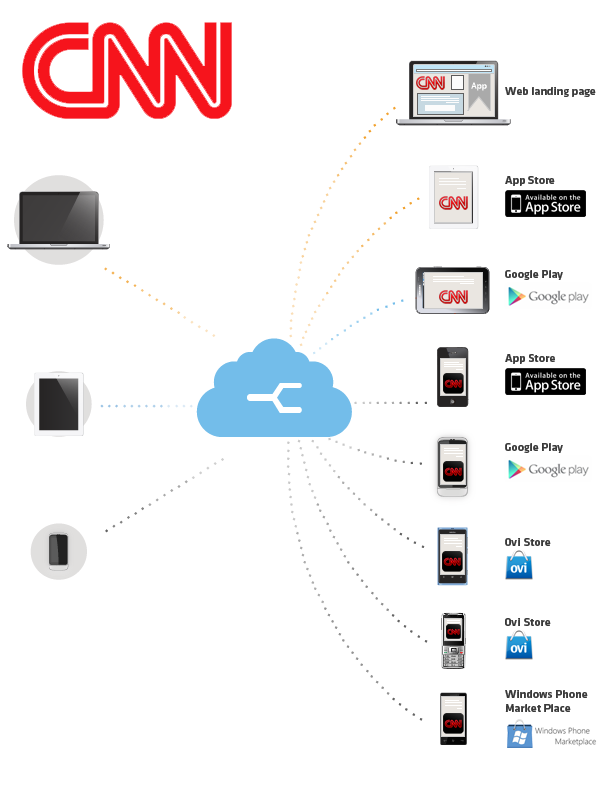 Advice mapped all CNN's native Mobile and Tablet Apps in Splitter to be able to simplify the communication and branding of CNN's wide selection of Mobile and Tablet Apps across Apple's App Store, Android's Google Play, Windows Phone's Marketplace etc. With Splitter potential CNN users only have one QR code and a simple short URL to choose from when accessing CNN's different apps. Katrine Emme Thielke, Chief Advisor at Advice about Splitter: "Regardless of device, the user will end at the correct landing page with one link and one QR code. Nice and simple product!"